Tax Credits are available for both solar thermal and solar PV. Solar energy is a responsible, dependable, and renewable energy choice. You can nearly eliminate your homes carbon footprint by combining energy efficiancy with solar energy solutions. 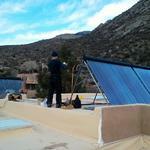 ​Solar thermal systems, provide environmentally friendly heat for household water, space heating and swimming pools. heat your water or air with the sun! 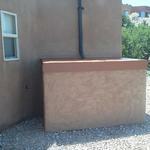 This can reduce your monthly heating bill while helping to protect our environment. This is a Non-profit orginization dedicated to promoting solar energy and related sustainable practices. 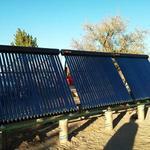 ​Sometimes called solar domestic hot-water systems are cost effective for many applications. 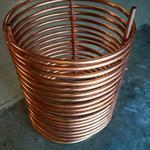 Although solar water heaters cost more initially than conventional water heaters, the fuel they use-sunshine-is free. Since the early 1970's the efficiency and reliablity of solar heating systems and collectors have increased greatly and costs have dropped. The Solar Rating and Certificiateon Corportation (SRCC) now certify and rate solar thermal systems and equipment. 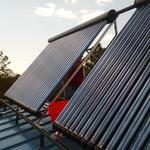 What are the basic components of a solar thermal system? ​Solar water heaters and solar space heaters are made up of solar collectors, and all systems except pool heaters have some kind of storage. Active systems also have circulating pumps and controls. Flat-plate collectors are the most common type of collector. Also available are evacuated tube solar collectors which are usually made of parallel rows of transparent glass tubes. We design the system for New Mexico. A system maximized for efficiency, will pay for itself much faster.